With the gluttony of the festive season now happily / sadly over, I figure it’s about time I get back to ‘normal’ cooking instead of making do with Christmas and New Year leftovers (there’s only so much one can take of shortbread, stuffing and wine). However, ‘normal’ cooking doesn’t mean ‘pedestrian’ cooking. One of my New Year’s resolutions was to try and continue to be a little bit different with the food I’m serving – Mrs Beeton and Household Management will play a big part in that as we head into 2010. Almost anything can be prepared with a bit of extra pizzazz. 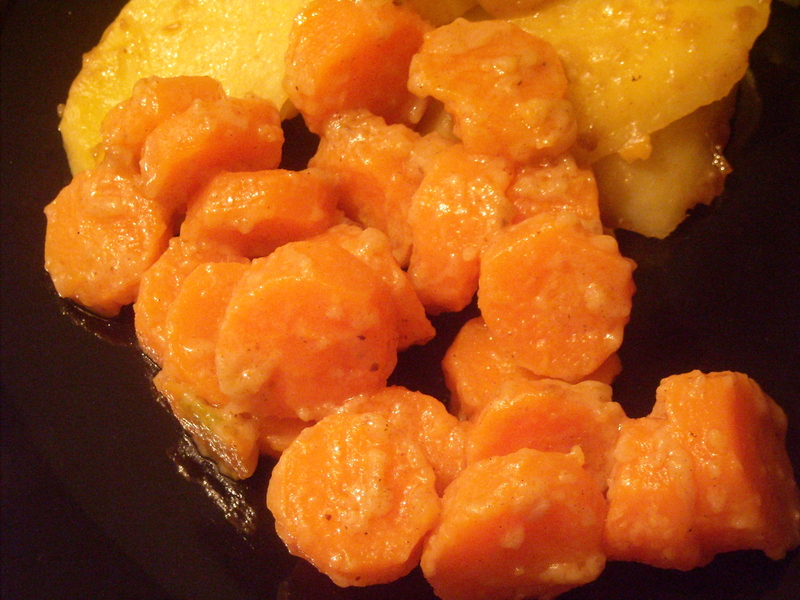 Tonight I tried out two simple side dishes that were probably inspired by Isabella Beeton’s time living in Germany – German-style carrots and German-style potatoes. Pour the liquid over the carrots and simmer until tender. Serve hot. 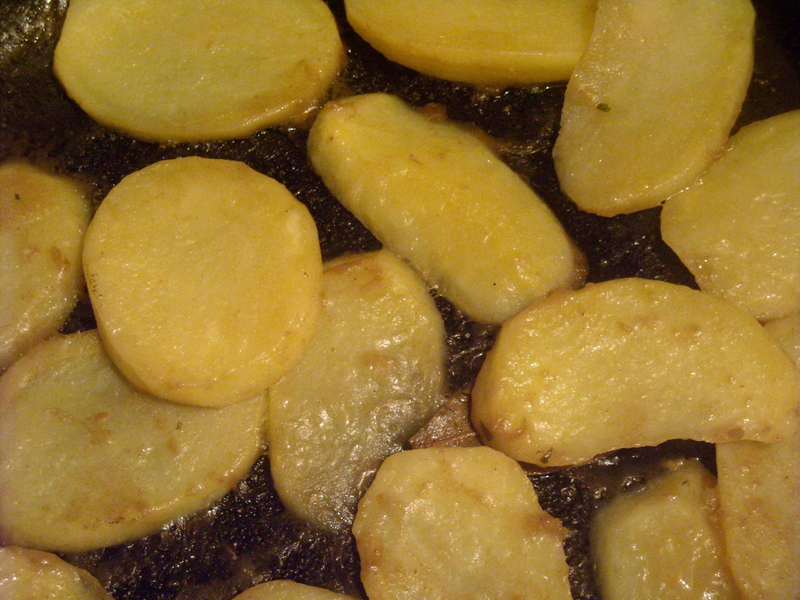 The original potato recipe calls for a laurel leaf – a bay leaf is a good substitute. Both these side dishes got my boyfriend quite enthusiastic (”Really good”). I’m not sure if that’s because my birthday is coming up and he’s trying to be extra nice, or if he really likes them, but indications point towards the latter. 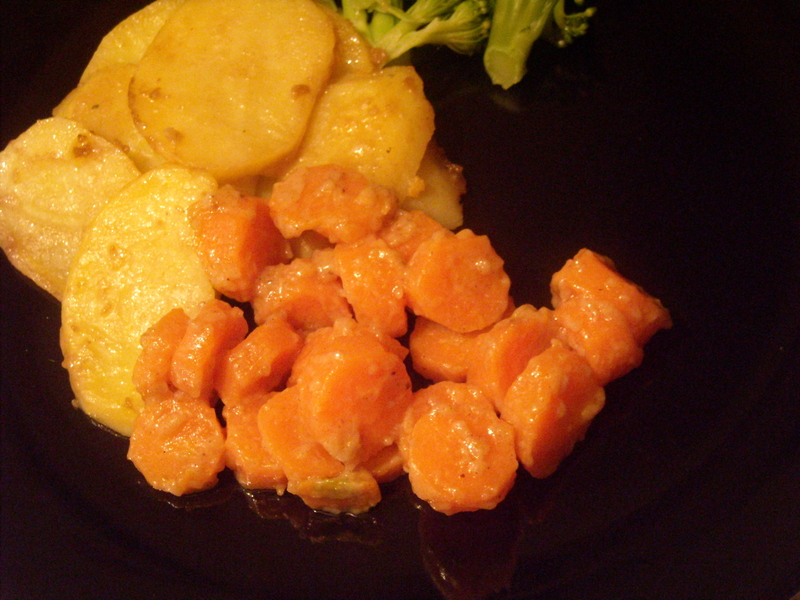 The carrots were surprisingly good – the initial ingredients and quantities seemed a little blasé, but everything worked very well together. This entry was posted on January 2, 2010 at 10:01 pm and is filed under food. You can follow any responses to this entry through the RSS 2.0 feed. You can leave a response, or trackback from your own site.